Pawan Sharma | May 22, 2012 | User Administration Be the first to comment! In this post we will discuss about an important file /etc/group. To pass Redhat Certified System Administration(RHCSA) exam we need to know all important files related to user administration. 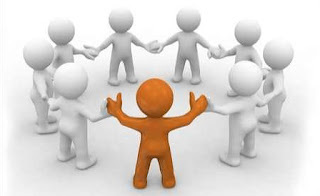 In /etc/group file we can find group related all user groups in Linux operating system. 1. GROUP NAME: which is the same as USER_NAME which is specified with the useradd command. 2. GROUP PASSWORD: Group Password can be given using the command gpasswd . 3. GID -> Group ID which is the same as UID. 4. The last field discribe ther members of the group except the user which is already a member of the group . An entry for the "major_group" group will be placed in the file /etc/group. If we want to give same permissions to few users, we can make them member of a group. By making some users member of a group we can give permission to that group and all users in that group will get that permission. We can also set Access Control Lists (ACL) on group.